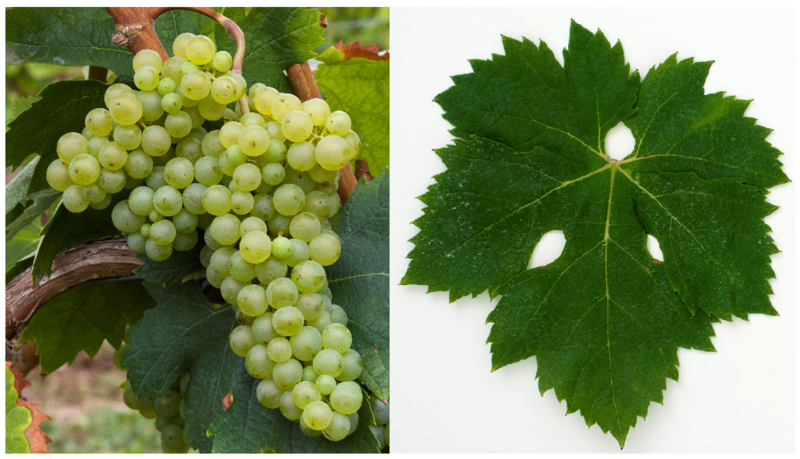 The white grape variety comes from Italy. Synonyms grouped alphabetically by country are Paulos, Pavlos ( Greece ); Malvasia Bianca Malvasia Bianca Siciliana Malvasia Bianca Toscana Malvasia del Chianti Malvasia di Arezzo Malvasia di Brolio Malvasia di San Nicandro Malvasia Lunga Malvasia Toscana Malvasia Verace Prosecco Nostrano Prosecco Italy ); Krizol, Maraškin, Maraštin, Maraština , Maraština Bijela, Maraština Krupna, Maraština Mala, Mareština, Rukac, Rukatac, Rukatica, Višana ( Croatia ); Menuetta ( Slovenia ). It is one of the many mostly unrelated varieties with name part Malvasia (look there). It has been known in Tuscany for several centuries. In the first recipe of Baron Bettino Ricasoli (1809-1880) from 1872 she became easier, quickly enjoyable Chianti suggested as an additive, but advised against storable wines. Despite seemingly indicative synonyms or morphological She may not share similarities with the varieties Glera (Sparkling wine), Malvasia Bianca di Piemonte. Malvasía de Lanzarote or Prosecco Lungo be confused. According to done in 2007 DNA analysis is genetically closely related to the varieties Malvasia di Lipari and Malvasia Istarska, The DNA profiles of the Croatian variety Marastina and the Greek variety Pavlos are identical. From probably natural crossing with Negroamaro is the sort Malvasia Nera di Brindisi, as well as with Glera (Prosecco) the variety Vitovska emerged. The medium to late ripening vine is prone to both mildews. Botrytis and bunch rot, It produces neutral, alcohol-rich white wines. The variety is sold in Italy in all provinces of the Tuscany grown; there are more surfaces in Apulia. Lazio. Brands and Umbria, She is there among others in the DOC / DOCG wines Bianchello del Metauro. Bianco Capena. Bianco dell'Empolese. Cacc'e Mmitte di Lucera. Carmignano. Colli Altotiberini. Colli dell'Etruria Centrale. Colline Lucchesi. Gravina. Leverano. Orcia. Orvieto. San Gimignano. Sant'Antimo. San Torpe. Terra d'Otranto. Val d'Arbia. Valdinievole. Vignanello and Vin Santo del Chianti authorized. In Italy The acreage is 2,259 hectares, with a steep decline (ten years earlier, there were 3,937 hectares). In Croatia It is mostly cultivated under the name of Maraština or Rukatac in the Croatian coastal area and on the two islands of Korcula and Lastovo and, among other things, for the dessert wine Prošek used. The Croatian cultivated area is 285 hectares. In 2010, a total of 2,544 hectares were reported. This page was last modified at 26 December 2018 at 13:23.